Analysis of canine genetics has led to several revelations about canine history, breed development and even human pathology. Determining the domestication of dogs can be a difficult task. Even with the advances made in genomics, there are still many holes in the history of the evolution of dogs. Analysis of chromosomal and other DNA in dogs and their close relatives (coyotes and wolves) has provided some insight into the origins of domesticated dogs. Recent studies have shown that we can actually learn a lot about the human race by studying the DNA of our canine companions. This article reviews some of the key points made about how analysis of canine genes has improved our understanding of dogs and ourselves. 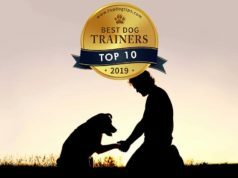 Much of the information contained in this article is thanks to the recent study entitled Man's Best Friend Becomes Biology's Best In Show by Heidi G. Parker, Abigail L. Shearin and Elaine A. Ostrander, that shed the light on this subject. Analysis of DNA from mitochondria—a specialized structure in virtually all cells that contain DNA separate from the chromosomal DNA—suggests that dogs were domesticated between 16,000 to 1000,00 years ago. However, comparison of chromosomal DNA from dogs, wolves and coyotes, provides a smaller range between 18,000 to 27,000 years ago. Although it is not clear when dogs were domesticated, researchers agree that it occurred at least 15,000 years ago. Genetic analysis of dogs and wolves revealed that many modern breeds share a genetic signature, or a set of genes that have a unique level of activity similar to wolves from the Middle East. So, why are there so many types of dogs? A major influence on canine traits is where the dog was domesticated, and some studies have already mapped this out. While dogs share a genetic signature with Middle Eastern wolves, they can be genetically influenced by wolves in their place of origin. This was determined by a study analyzing haplotypes—a collection of genes on a chromosome that were likely to be conserved over the evolution of several generations—of dogs and wolves from different parts of the world. Not surprisingly, the studies found that specific Asian breeds share an unusually high number of haplotypes with Chinese wolves, while European breeds shared a disproportionately amount of haplotypes with European wolves. How are these wolves influencing dog breed traits? One answer is that dogs were not just domesticated at one time in history and in one location. Instead they were domesticated all over the world from different types of wolves. However, this does not explain the shared genetic signature with Middle Eastern wolves. The similarity may be due to the fact that all wolves may have descended from one common Middle Eastern ancestor. Another way wolves may have influenced dog breeds is through interspecies mating between wolves and domesticated dogs (or an early ancestor of dogs) resulting in offspring more similar to wolves than their parents. These offspring would then mate, generating generations of dogs with characteristics specific to wolves in the area. As you could imagine, the ancestors of dogs were very similar to wolves. However, the difference between dogs and wolves became exceedingly clear about 12,000 years ago. At that point, dogs were physically distinct from wolves. Despite this early separation from their wolf ancestors, it was only a few hundred years ago that most dog breeds arose resulting in the approximately 400 types that exist today. Each breed has a distinct gene signature. These signatures are so unique that through analysis of their genetic makeup alone, dogs can be divided into groups based on their ancestry, geographical origin and physical traits. Still, the makeup of the canine population goes beyond different breeds. Even within breeds, there are different types of dogs with different characteristics. These subsets within breed are due largely to the popularity of specific traits in different breeds driving breeders to breed dogs with specific traits in order to enhance these traits in their offspring. Breeds can also be influenced by other dog breeds in the area. Breeding with dogs from different breeds can result in several types of dogs within one breed. Breeding within each group could then result in multiple distinct breeds. At the same time, breeding among different kinds of dogs has led to the loss of some breeds, as interbreeding results in the merging of two breeds into one uniform population. Not surprisingly, since haplotype analysis can help us to determine the ancestors and similarities of specific dog breeds to different wolf subgroups, it can also help us determine the relationship between different breeds. Researchers found that each breed has around 4-5 haplotypes. Analysis of the haplotype structure, revealed the level of shared ancestry between two different breeds. For example, Labrador and Golden Retriever breeds shared the most, suggesting that they came from a relatively recent common ancestor and are more closely related to each other than other dogs. Japanese Akita and Swedish Bernese on the other hand share very few haplotypes and have no relatively recent common ancestors. Canine genetics can do more than inform us about dog breeds and their ancestry. They can also help us better understand human diseases. Because the development, progression and behavior of several disorders afflicting humans and dogs are so similar, understanding the genetic components of these diseases in dogs can give us an idea of what may be happening in humans. For example, the canine disease X-linked hemophilia A is caused by a mutation in a gene called factor VIII. This gene is also altered in the human version of the disease. Researchers found that a mutation in an undiscovered protein contributes to the development of blindness in dogs. Evidence that this mutated protein contributes to blindness in humans was later found. The behavior of several cancers in dogs and humans is also very similar. Some breeds are genetically predisposed for certain cancers as well. For instance, Scottish Highland white terriers have a high incidence of bladder carcinoma, while Rottweiler’s often get osteosarcoma. Understanding what causes these breeds to be more susceptible to certain cancers than others could shed light on the genetic basis of these diseases in humans. While there are mouse models, dog models better reflect the symptoms of human diseases. For instance, while there are mouse models of Duchenne X-linked muscular dystrophy, they do not completely model the disease. Unlike in mice, dogs also display progressive muscle deterioration and fibrosis. Canine genetics have allowed for great strides to be made in understanding canine ancestry, breed relationships and even human pathology. Through continued study of the canine genome, we can better understand where our dogs came from, how they became who they are and not only how their body fights and develops disease, but how our bodies do as well.